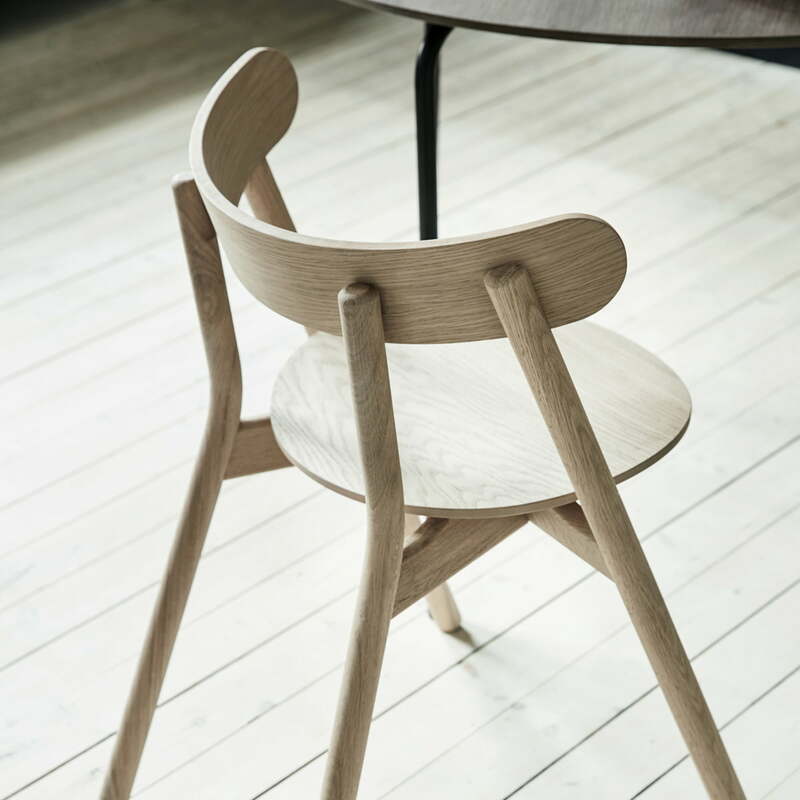 The Oaki Chair is a design by Stine Aas for Northern that is characterised by soft contours and naturally-shaped elements. 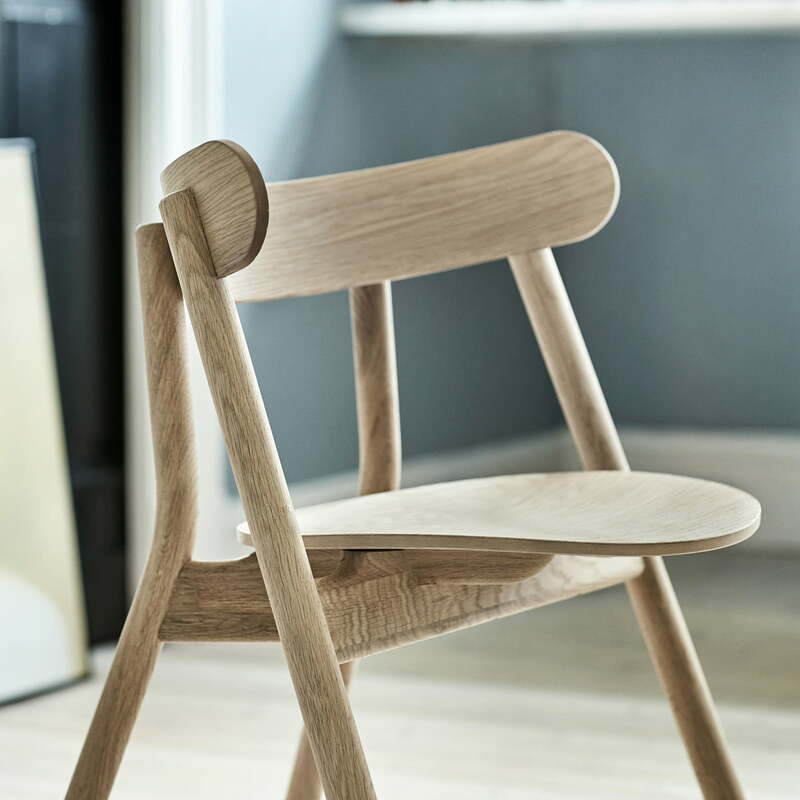 The chair gets its special appearance through the legs, which do not end at the seat like other chairs, but continue straight-up to form the back- and armrests. 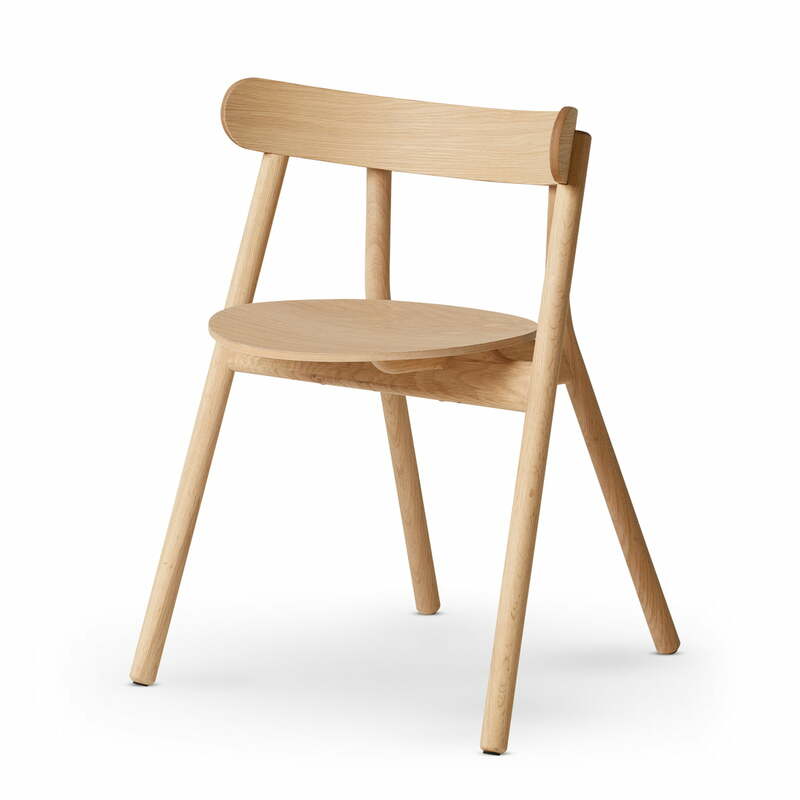 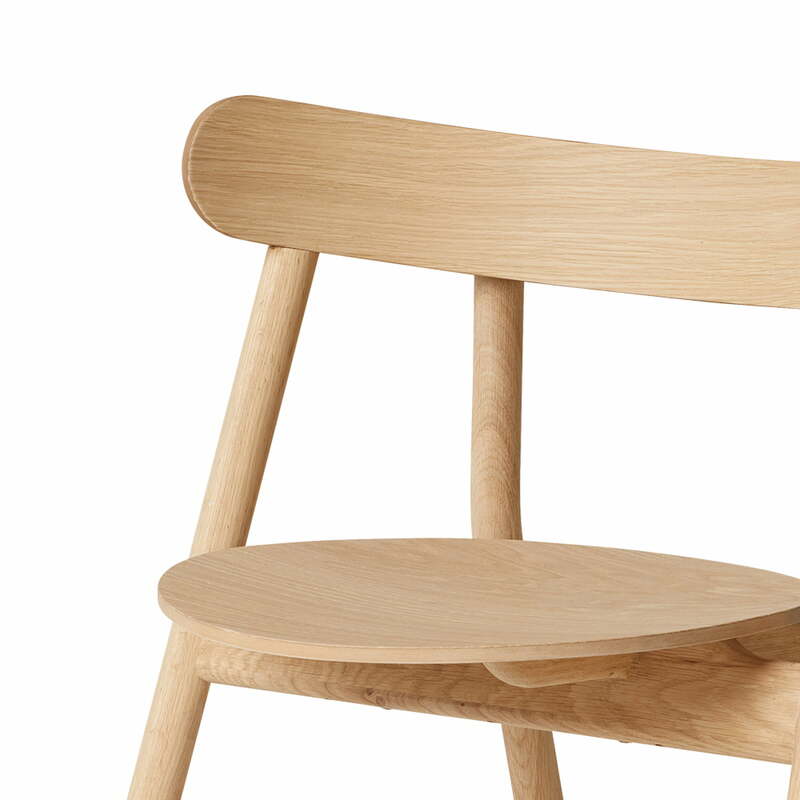 As a result, the Oaki Chair looks natural, a quality further emphasised by the oak wood. 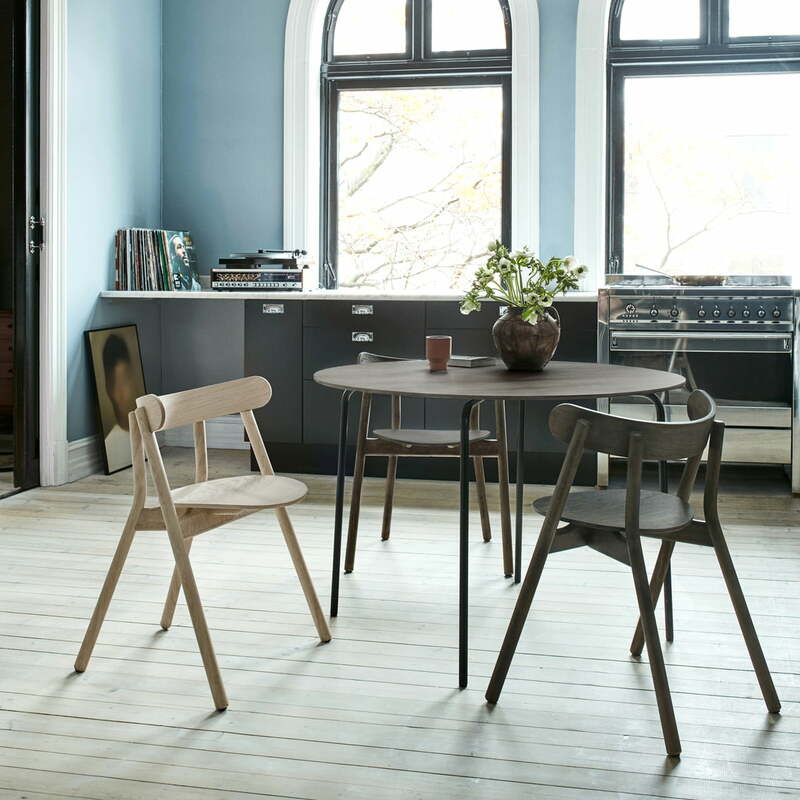 The round seat and narrow, curved backrest ensure the necessary comfort. 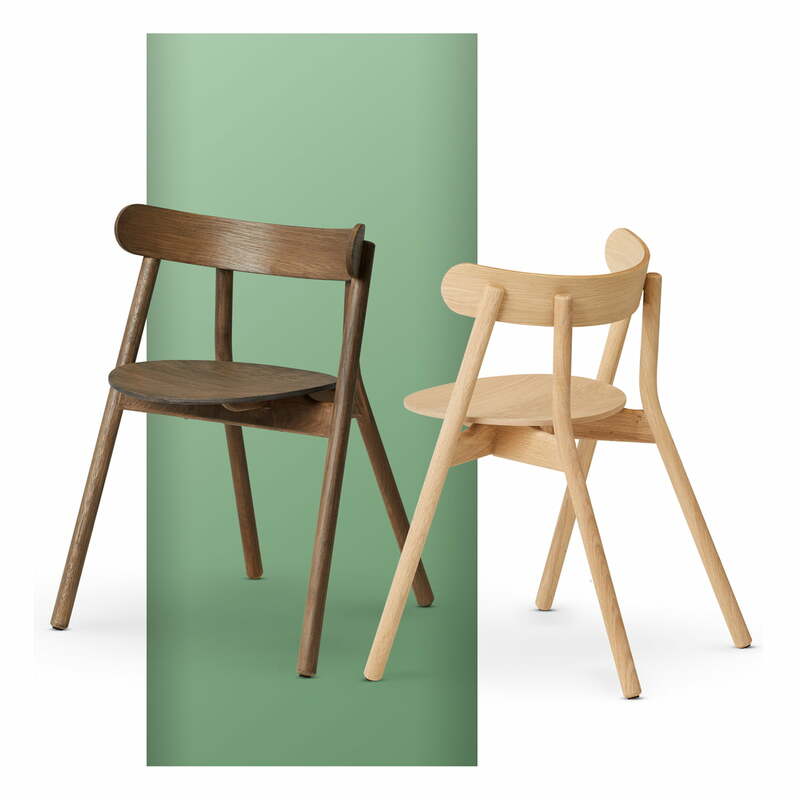 Placed at the desk, in the hallway or at the dining table together with other models, the Oaki Chair is a stylish piece of furniture for the interior.